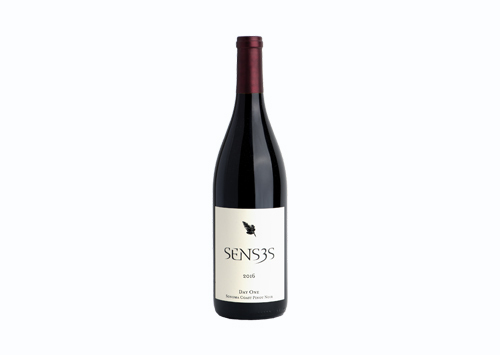 Senses Wines embody the natural and distinct characteristics of the coastal vineyards from where the grapes are grown. They believe the vineyards are Senses’ greatest asset, and they meticulously farm each vine, so the winemaking process can be as hands-off as possible. This approach ensures the complexity and finesse expected for each wine, vintage after vintage. Grapes are hand sampled and harvested at ideal ripeness, cold-soaked for a few days, fermented with yeasts indigenous to the vineyard, pressed and barreled into a selection of French cooperages.